To register for any of the SoccerKids classes simply click the "Register A SoccerKid" button above and complete the online registration form. After we have received your information we will get back to you within 3 business days. Soccer Kids Classes are programs that are both designed to offer quality instruction to kids by developing motor skills, coordination and physical fitness. Our practices are designed to be active, engaging and most of all fun! We strive to foster an attitude of accomplishment and positive self-esteem in the children through a series of doable, yet challenging tasks. Emphasis is on Having FUN!! Skill development and Overall understanding of soccer. 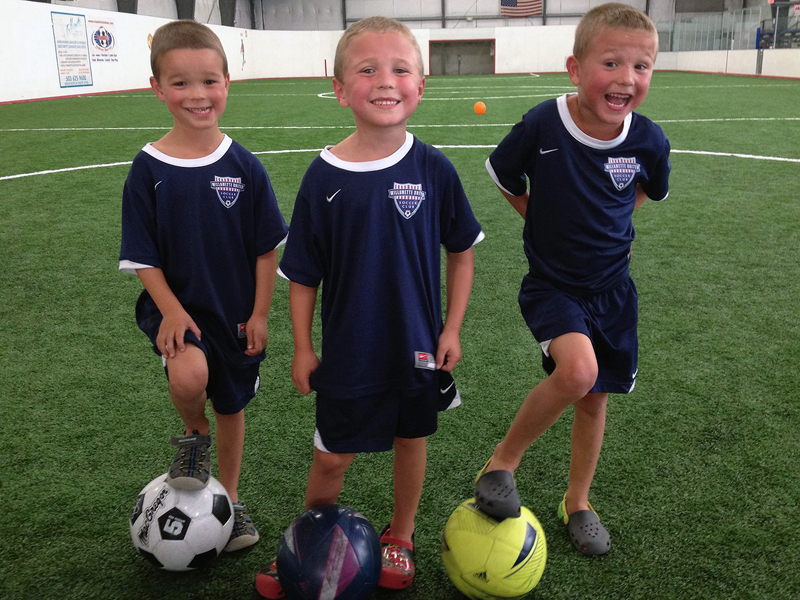 Description: For ages 18 months to 3 years old this is a fun and active way to start your child in soccer. A variety of props are used to engage toddlers and develop motor skills Parent participation is required in this class. Description: Designed for 3 year olds this class develops motor skills as well as listening skills, as toddlers are on the field with only the coach. Description: For ages 3 1/2 years old to 4 years old. A variety of games and skills will be introduced as well as scrimmaging! 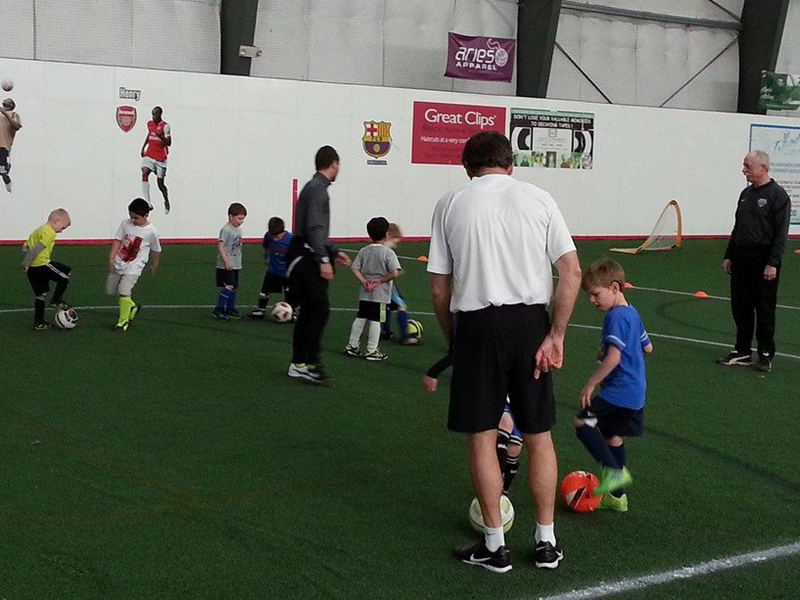 Description: For 4 year olds this class will challenge your toddler as well as building a love for soccer. Description: For 5 year olds this class will develop dribbling, Kicking & passing through a variety of fun and engaging games. Description: For 6 year olds this class offers more challenging skill development as well as scrimmaging. Description: For 7 - 10 year olds this class offers more advanced skill development, proper technique as well as small sided games designed to maximize the number of touches on ball.